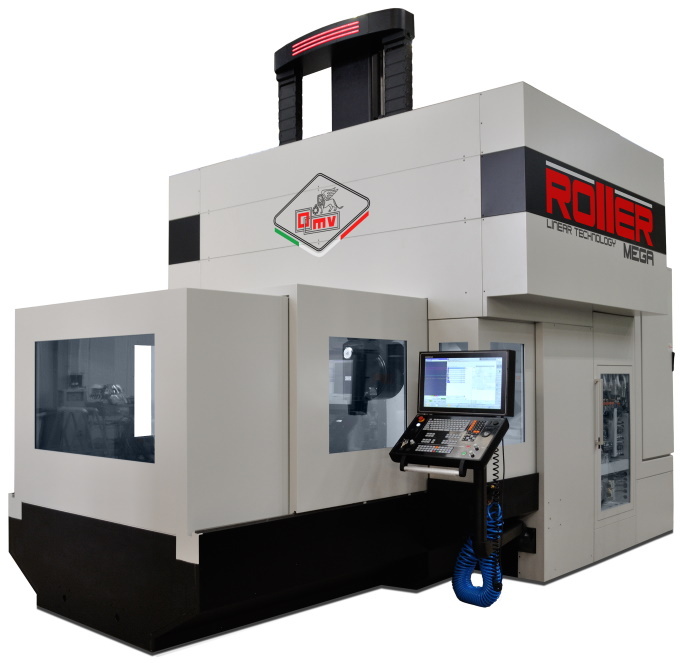 OMV adds to its product range a new portal-type high-speed machining center model ROLLER MEGA. The movements of the axes are all controlled by linear motors. 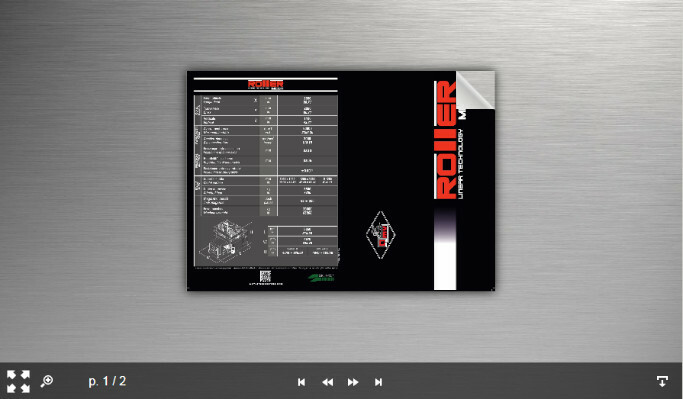 The sliding takes place on linear integral roller guides in the three axes that reach a feed speed of 60000 mm/1'. The head, with one continuous working axis and one positioning axis (optional two continuous working axes), is driven by a torque motor and is equipped with an electrospindle at 18,000 rpm with a power of 29 Kw. inclinable in the transverse axis from ± 110 °. The longitudinal and transverse movement guides are protected by heat-sealed bellows and steel telescopic protections. The machine is equipped with a tool magazine without a 42 or screws which transport the same in a scraper chip conveyor with lateral exit. The fairing with tunnel opening solution that leaves the table completely free for loading.